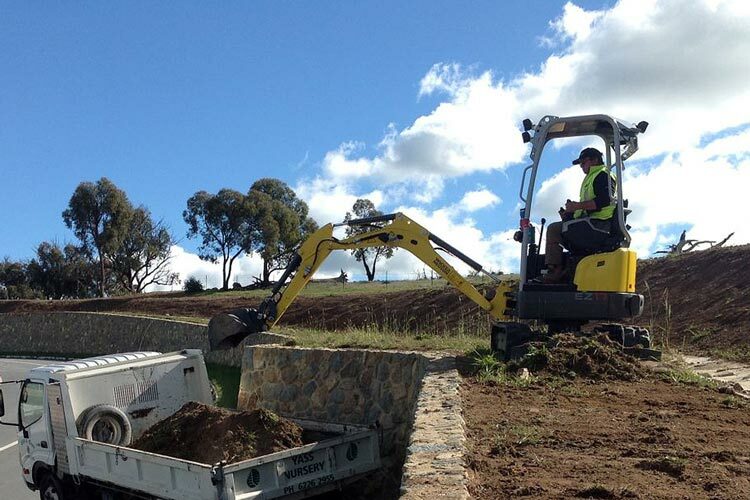 Superior earth moving services in Canberra! 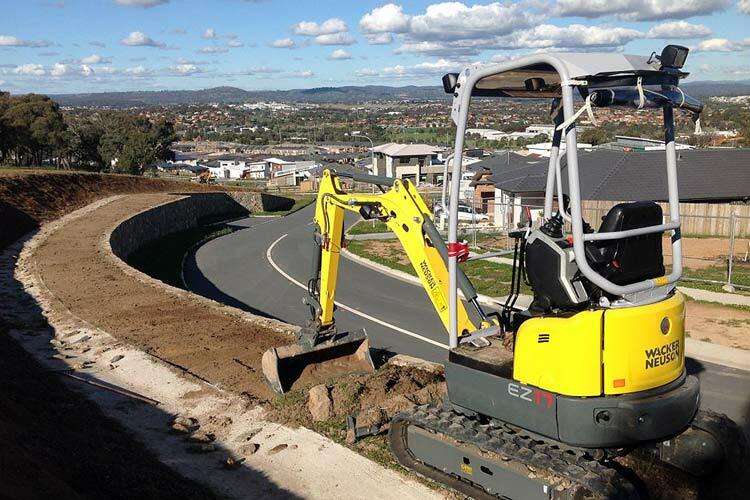 Ground Control ACT Pty Ltd has the expertise and range of products to benefit any earth moving services required in the ACT. Our earth moving equipment and expert hand means that your development will be set atop a stable foundation.We pride ourselves in the high quality of work that we do, and always aim to exceed your expectations with our service delivery. Ensure stability and results you can rely on by calling Ground Control ACT Pty Ltd on 0418 631 559. ACT’s experts in earth moving services. Finally bought that land to build your dream house? Whether it be a new house or perhaps a new pool, Ground Control ACT Pty Ltd, ensures your pride and joy won’t start to crumble because of dodgy earth moving services. 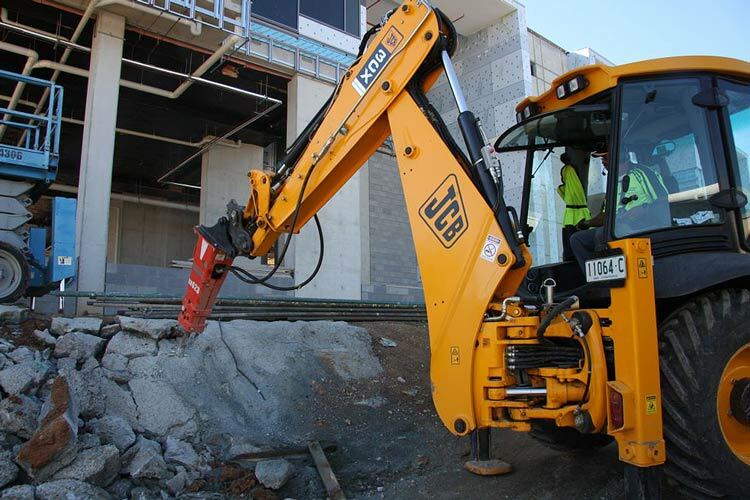 We offer A-grade backhoe hire, rock breakers for demolition and post holes. We do trenches for electrical and plumbing services and detailed house footings and pad excavations promptly and within budget. Our operators have knowledge of their industry and of their equipment ensuring your development is built with efficiency and sustainability. Our excavating contractors can help you with any earth moving services and specialise in drilling. We offer geotechnical test pits and pier drilling with a full reporting service. We can drill up to 1m in diameter and up to 10m deep to help you develop with ease. With an extensive fleet of excavators and land clearing equipment, Ground Control ACT Pty Ltd guarantees our equipment can aid earth moving services of all sizes. Our products dig through natural sand, clays and rock, to stabilise the ground you build upon. Our heavy-duty precision equipment and machines are designed to make domestic and commercial projects a breeze. Call our friendly team for helpful, down-to-earth advice you can trust.